We in the Abington MA Lions Club are a small part of a much larger picture. Being the largest service organization in the world, we reside in one country out of over 209 countries and areas of the world today. We are one club out of more than 46,000 clubs. We are about 50 members out of over 1.35 million members. We are just completing our 60th year of service out of 98 years of Lionism. So you see, our piece in this large puzzle may be small, but no puzzle is complete without all the pieces. Below you will find a list of some of the international projects Lions are working on. Some of them are directly supported by Abington MA Lions while others are only indirectly supported. But let's face it, you came here to learn about the Abington MA Lions, not the International Lions. If you go to our Links page, you can find all the information you want about Lions International. We will put a short list of what we are up to here in Abington today. Welcome to the online home of The Abington Ma. Lions Club. Feel free to look around all you would like, but remember, if you break it, you bought it! Some of our pages are interesting to other Lions while some of them are directed at you, the nonLion who is curious about what we do in Lionism. Remember, we are always ready and willing to answer any questions you may have about Lions. eye glass collection and recycle project - our district sends tens of thousands of readers and prescription glasses around the world each year to help those with no ability to help themselves. ​There are far too many ongoing projects to list them all here, it would be much easier to just talk to one of us, we love talking about lions. This year we have a number of new projects that should be quite fun, including; Easter Egg Hunt, Automobile Scavenger Hunt, Drive in Theater. Keep your eyes and ears open for more information. abingtonmalions@hotmail.com is our email address. There is too much information to fit on this website, just take a moment to imagine how much more we could do with your help. What's that you say? You have nothing to offer? I can assure you, you are wrong there, everyone can offer support in their own special way, let us help you find that special way. Who are the Lions? We are the Lions. You are the Lions! 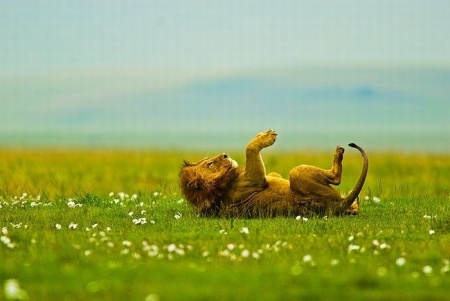 Over 1.3 Million people are Lions from over 200 countries worldwide. The Lions are the largest service organization in the world. There is a little cub Lion inside you just roaring to be let out. Please, let your little Lion out to play for awhile and see just how powerful he can become. Our fundraising efforts have been used to raise millions of dollars for scientific research into cures for diseases of the eye. So the question now is, "Why aren't you a Lion yet?" You don't know how to join? Here is the secret membership process...... ask us. Email us at: abingtonmalions@hotmail.com or come up to one of us around town or at one of our many events and introduce yourself.